One definition of a hero is a man noted for his special achievements in a particular field. A heroine is defined as a woman noted for her special achievements in a particular field. 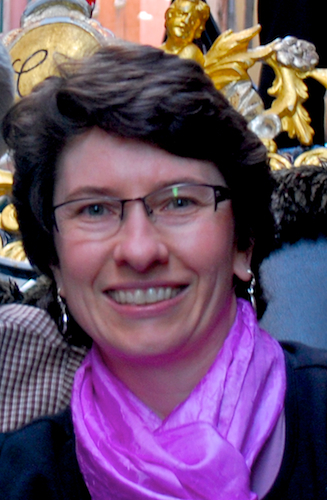 Dr. Paris defines a hero as someone we look up to, admire and aspire to please. As I read this chapter, I wracked my brain trying to recall any heroes from my childhood. This doesn’t mean I didn’t have any heroes during my childhood. I’m sure I did. I guess they just weren’t very permanent. Mentors and teachers are also powerful hero figures in a child’s and adult’s life. In the ideal situation, these relationships not only teach skills but also assist in immersion of the task. So a hero is someone we look up to and admire and who supports our ability to immerse in creativity by helping us feel safe and secure. When we have a good internal or external connection with a hero, we feel inspired and motivated to move forward. But what happens when blocks or fears keep us from developing healthy connections with heroes? The first block Dr. Paris discusses is the absence of a parental hero and disillusionment. This typically happens when an idealized figure betrays or neglects us. Sadly, not everyone has someone they admire and respect. This may be due to the absence of a trustworthy person in one’s life or a history of disappointments that lead to deep feelings of distrust. People are quite creative, however, when dealing with experiences of disappointment. As was mentioned in earlier chapters, fantasy and imagination are often helpful in assisting creative types create safe relationships and thus immersion in a creative process. When the admired person has specific requirements for approval (or is perceived that way), we are forced to choose between honoring the demands and losing the relationship. The importance of the approval of the admired person makes this a very difficult choice, and many of us will choose to comply rather than to risk disapproval or rejection. Anyone feel like they’ve “lost” themselves lately due to compliance? Dr. Paris does point out that not all compliance is bad or that one should never comply. Compliance can be a gratifying experience when a person chooses to try to meet the needs of another. But it is when we feel that we must always give up our own needs and uniqueness in order to satisfy someone else’s expectations that it becomes toxic to our creative process. In this respect, compliance becomes a cage that does not allow for the freedom to immerse. Here rebellion and rage goes beyond the event of “acting up” or dying your hair purple. In this block, rebellion and rage are by-products of disillusionment and betrayal by others. (See the first block on absence and disillusionment.) Here the individual attempts to regain power and punishes the offender. Their energy comes from a wish for revenge and a need to restore a sense of control and justice. Interestingly enough, Dr. Paris believes that artistic expression of rebellion or rage indicates that the artist still has hope of being heard, appreciated and understood. Artists who are inspired to express their disappointment and hurts through aggressive content and form still have enough hope to fight, to vigorously assert their point of view. Their artwork may be the only medium that gives them a voice, enabling them to stand up to others. Develop relationships with those you admire. Find a mentor, teacher or admired person (real or fantasy) and connect with that person. With real life figures, ask for advice and feedback. Your ability to ask for support is a sign of strength and will sustain your creative process. Immerse in the work of someone you admire. Read books on or by this person, appreciate his/her art, listen to his/her music. Make use of fantasy heroes. Call upon your hero or idol in fantasy. Imagine meeting your hero. Imagine him/her appreciating your work. Imagine your hero facing creative blocks or procrastination. How would they handle these situations? I invite you to join me as I read Standing at Water’s Edge. You can purchase the book through Amazon, Dr. Paris’s web site, or perhaps find it at your local library or bookstore. My goal is to post every 7-10 days a summary of the chapter and share any a-ha moments that occurred. I welcome your comments on this and successive posts. Share your a-ha moments and experiences while reading the book. You can join in at any time. If you have a blog and are also writing about your experiences with this book, please include a link to your blog in your comment. I’ll include your blogs at the end of my posts. 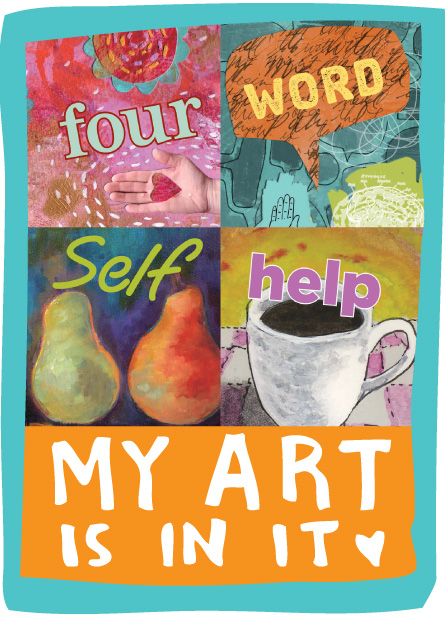 Categories: art, Artists, book review, Creativity, Finding a voice, Inspiration, Self-confidence | Tags: Anne Paris, book review, Books, Creativity, dreams, fear, heroes, Inspiration | Permalink. Just a quick check-in. This week has been a flurry of activity as I’ve been preparing for my featured artist and art demo event at Tappan Z Gallery on Friday, November 20. I’ve had great fun the last two days making armature models using wire and aluminum foil and masking tape and creating polymer clay base bodies over some of the armatures. Packing for this event has been like packing for a workshop. I want to make sure I have all my essential tools because I can’t just run home to get something if I forget it. 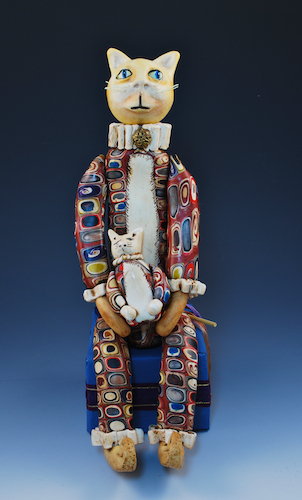 Jester Cat and Junior sit on a handmade stool. On the stool is a Scrabble tile in the letter ‘F’ for ‘fun, furry, fool’ and a small jester wand. 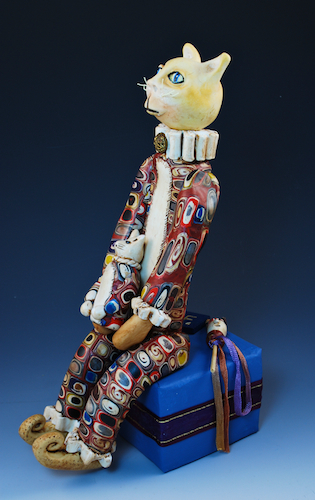 Junior, currently sitting on Jester Cat’s lap, is removable and stands on his own. Categories: Amy's Art, Art Dolls, Business, Creativity, Inspiration, Mixed Media, Sculpture | Tags: art, art demonstration, Art Dolls, Business, Cats, Creativity, gallery stroll, Mixed Media, NY, Polymer clay, Sculpture, Tappan Z Gallery, Tarrytown | Permalink. than just thinking different varieties of the same old thoughts. Categories: Creativity, Inspiration, Quotable Monday, Quotes, Spirituality | Tags: change, create, Creativity, Inspiration, life changes, new thought, philosophy, Quotable Monday, Quotes, think, TUT | Permalink. In Chapter 4, Dr. Paris begins to explain the three types of relationships that she believes are crucial to all creative types. Chapter 4 focuses on “mirrors;” those people who validate our strengths, our talents, and our uniqueness. Our deepest fear is not that we are inadequate. Our deepest fear is that we are powerful beyond measure. It is our light not our darkness that frightens us. We ask ourselves, who am I to be brilliant, gorgeous, talented, and fabulous? Actually, who are you not to be? It appears this fear of our powerfulness may stem from our childhood experiences. According to Dr. Paris, many theorists believe people are born with a feeling of specialness. It begins when a baby cries because she is hungry and expects to be recognized, fed, and nourished. The mother feeds the baby and the baby feels recognized. As the baby grows into a toddler, a feeling of invincibility emerges. Remember playing the role of your favorite superhero? At this stage, the parent may support the fantasy and keep the child’s self-esteem intact. More often, well-intentioned parents try to protect their child from disappointment and tell the child that s/he does not have any superpowers. Now the child may hold on to the fantasy even harder to preserve his sense of power or the child may fear devastation of his self-esteem if he dares dream of being anybody special. As a child you bring home a drawing you did in school and proudly show it to your mother. Mother is preoccupied with other tasks, doesn’t sense your enthusiasm about your drawing, and, in a disinterested voice tells you “That’s nice.” Or, as Dr. Paris adds, the mother finds fault with the drawing. The mother did not mirror or reflect back the child’s enthusiasm. The child is humiliated for feeling proud and disappointed in her mother. Moving forward, the child decides not to show future drawings to her mother. In fact, the child tells herself that she isn’t very good at drawing which may, in turn, become a block to immersing in creativity. Our need for validation, for reflection of our sense of greatness does not end with childhood. Our need for the admiration of others continues throughout life. Even the most self-confident person needs to feel validated by others. At this point our childhood experiences and our lifelong history influence how we deal with current blocks. Dr. Paris briefly discusses the ability to feel special, the capacity to immerse and receive constructive criticism before discussing blocks and fears. The following are common blocks and fears that artists may face in the realm of feeling special and great. In this situation, you may have grown up without positive mirroring from others and do not expect to receive this kind of affirmation. To work through this, we must begin to clearly ask for what we need from those around us. Yes, that may not be as easy as it sounds. Aren’t we taught, especially women, to NOT ask for what we want? Another alternative, if asking for what you need is not easy, is to visualize someone or an entire audience being appreciative of your work. Perhaps you can then begin to visualize asking for what you want or need to hear. Many of these statements stem from our fear of rejection or criticism. Rejection or criticism injures our self-esteem. Therefore we procrastinate, avoid immersion, don’t fully invest ourselves, and shield ourselves from a full creative experience. In some sense, we can’t live up to our own high standards or previous successes. We keep our selves from taking risks. This one is key for me. For the most part, I’ve moved past the fear of failure scenario. Nowadays, I tend to fear success. Sounds silly doesn’t it? And where does this fear come from? Fear of change. Think about it. Success may mean a change in lifestyle; finances improve, new friends emerge, professional visibility increases. Uh-oh. But I like my comfort zone. As Dr. Paris points out the creation of anything new involves the destruction of something old, which brings considerable anxiety. While we need to receive positive mirroring from others in order to be nourished, we also need to be able to provide nourishment to others. The give and take between self and others, or between self and creative medium, creates a mutuality of interaction that underlies our strength and confidence. When we experience being a capable and trustworthy provider to others, we may then feel that we have something valuable to offer through an artistic realm. Dr. Paris concludes this chapter with the following tasks to consider. Dare to dream big. Take back your dreams of childhood and reach for them. Evaluate your support network. The presence of others in your life does not mean they provide the kind of support you need. Reach out for support. Be aware of what you need and be able to ask for it. Mentor or teach others. Self-confidence and strength are bolstered when we feel others recognize our skills. Categories: art, book review, Networking, Opportunity, Self-confidence | Tags: blocks, book review, Books, childhood, criticism, fear, mirrors, Standing at Water's Edge | Permalink. He who thinks he knows, doesn’t know. He who knows that he doesn’t know, knows. Categories: Inspiration, intention, Intuition, Quotable Monday, Quotes, Spirituality | Tags: Inspiration, intent, Joseph Campbell, knowing, philosophy, Quotable Monday, Quotes | Permalink. I’m finding this month to be busier than originally expected. That is a good thing because I am immersing myself in my studio. Unfortunately I am not keeping up with the blog as often as I would like. So here is a little update. 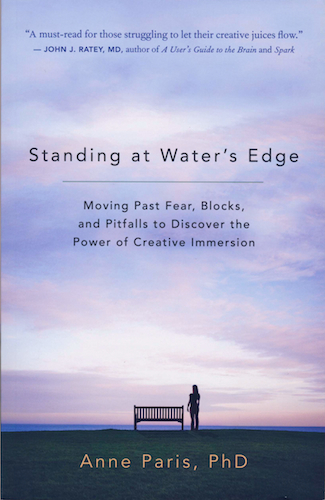 In my post summarizing Chapter 2 of Standing at Water’s Edge, I mentioned how I often cringe at the word “productive.” The word carries a bit of baggage for me due to my previous job as a Speech-Language Pathologist. Anyways, I realized that my previous approach to keeping track of time in the studio was also a hindrance. This week I gave up on keeping track of every little thing I did in the studio. Instead, I track time on my daily priority and to-do list. It has simplified the process significantly. It means I keep my time and tasks all in one place (ah, simplicity.) And I feel less self-imposed pressure to look and be productive. With the new studio time log, everything is on one page; my appointments for the day/week, priorities for the day, and a to-do list. And if I’m really good, I’ll add habits to remember, such as exercising and drinking water, and non-habits, such as spending too much time on Twitter or mindless busyness. Prior to making this change I also wrote out my first ever mind-map. I have a long term goal to have my fine art in 10 fine art galleries. Creating a mind-map gave me a tangible, visible map for all the tasks I need to work on to reach this goal. 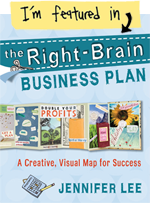 Mind-mapping is neat because you can drill down to the smallest task you can think of in order to reach a goal. And you can add and expand the mind-map as needed. After creating this mind-map, I took small tasks from the larger goals and created my list of goals for the month. I also looked at my schedule this month and, working backwards from specific dates, wrote tasks to be completed on the calendar. This whole approach gave me a great feeling of clarity at the beginning of the month and decreased the feeling of overwhelm that can easily creep up on me. About three weeks ago I started physical therapy to heal my herniated discs. I also had an appointment with a neurosurgeon who reviewed my MRI results and concluded that I am not a candidate for back surgery now or in the near future. (Yipee!) The herniated discs are not very big. The disc between L4-5 is the primary problem child; however, physical therapy has made a significant improvement in my level of pain. In fact, I have very little pain these days. In about three weeks, I’ve gone from having leg pain and cramping that would start soon after walking to having no pain whether I walk 1/3 of a mile or 3 miles! The physical therapist uses a technique called the McKenzie Technique which essentially teaches you how to control and understand your body and your pain. In my case, we worked on back bending movements first to strengthen the back and to get the disc to return to its normal position and then we worked on forward bending movements. It really has been awesome because I felt a noticeable improvement in about 3 days. With this busy schedule I’m a bit behind on my own reading. I finished Chapter 4 in Standing at Water’s Edge this morning and will post a summary early next week. Categories: Balance, Opportunity | Tags: Business, goals, life, Mind map, physical therapy, time, time management | Permalink. Do not take lightly small good deeds, believing they can hardly help. For drops of water, one by one, in time can fill a giant pot. Categories: Inspiration, Quotable Monday, Quotes, Spirituality | Tags: Buddhism, caring, good deeds, help, Inspiration, philosophy, Quotable Monday, Quotes, Spirituality, Water | Permalink.